Serving Baltimore MD and Harford Co.
Sterling Construction Company is a full-service remodeling company, providing quality service to residents all over Maryland including: Baltimore, Anne Arundel, Howard, Hardford County and Central Md. We remodel Maryland one house at a time. Dave would love to speak to you about your next home repair or remodeling project – contact him by phone, email or text. From handyman services to full additions, we remodel Baltimore one house at a time. 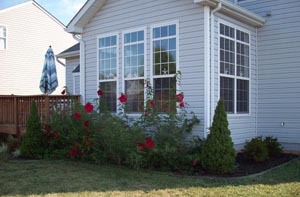 To find out more about each specific home improvement service, click here. We have fixed, expanded and renovated homes all over Maryland and Baltimore. Our goal is to help you create the space that improves your lifestyle and home equity. For your convenience we have included this form so you can contact us any time of day or night! Please include any questions you might have and the best time to get back in touch with you.